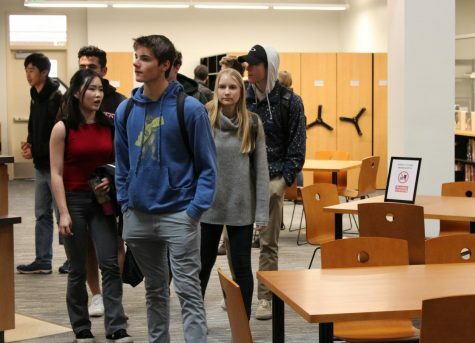 Reading nooks, study spaces and group collaboration rooms are available to students at Palo Alto High School with the opening of the newly remodeled library today at lunch. The building unveiled today — following a short ribbon-cutting ceremony at lunch — is split into sections for students who prefer to work or study at different noise levels, according to Librarian Rachel Kellerman, who worked with architects on the redesign plans. 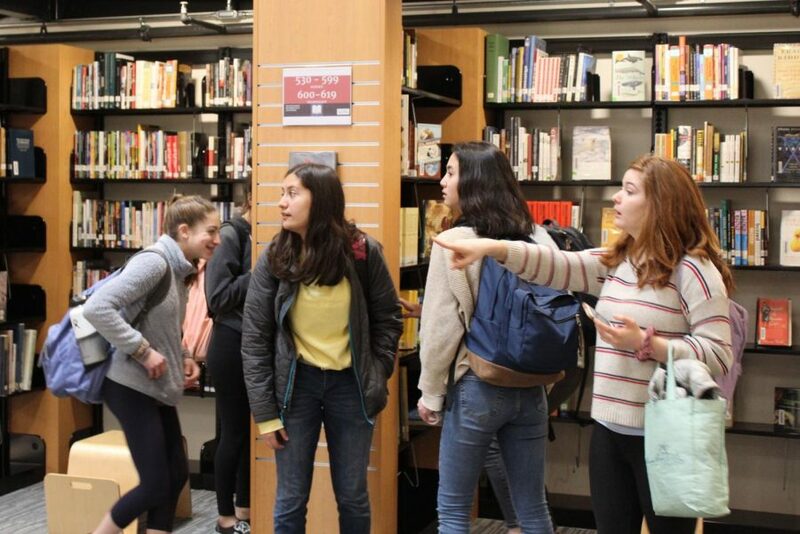 Throughout lunch, students and faculty admired the library’s new features, including sliding bookshelves and a winding staircase to an upper terrace. Junior Ashley Guo said she is grateful to have a convenient study space again. 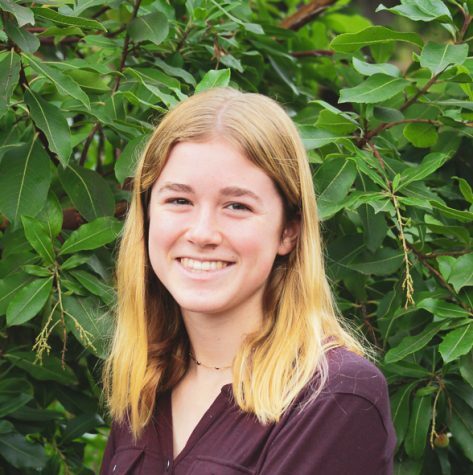 “It’s great that we finally have a space to work because I remember [during] freshman year, the library was a nice way to get work done, and it is nice that we have it back,” Guo said. Underclassmen, who didn’t attend Paly before the library’s renovation began, also got a chance to see the library at lunch. Although the front hallway of the library features a notable “Guidance” sign, the guidance offices will likely stay in the Tower Building for the remainder of the school year, according to Principal Adam Paulson. Although no banners or signs invited students inside the library during lunch, the building’s halls were full of curious visitors. 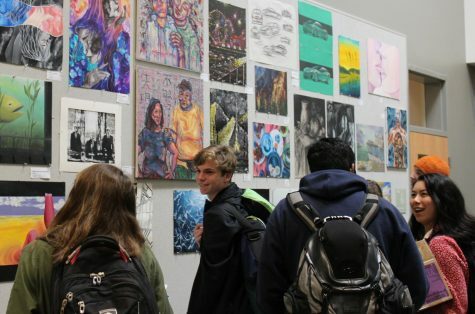 “I didn’t really want to make a huge show, but I just wanted to give you guys [students] your building back,” Paulson said. The public can tour the library complex during the final Centennial Celebration Facilities Open House on March 23.